The Cincinnati Hyatt Regency hotel is in the process of a $20 million makeover. Like many of Hyatt’s other properties, the upscale hotel at 5th and Elm is going for sleeker, more modern décor. 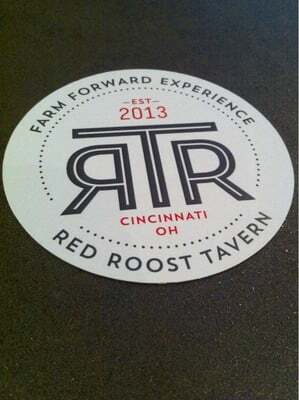 That momentum includes the former Champs sports bar space, now converted into the Red Roost Tavern, a modern-themed “farm to table” style restaurant. Earlier this week, the Hyatt hosted a “blogger dinner” for several members of the Queen City’s online writing community. First impressions walking into Red Roost? Gone are the neon signs, bright colors and pub grub from the old Champs. In its place are cleaner lines in greys and earth tones. 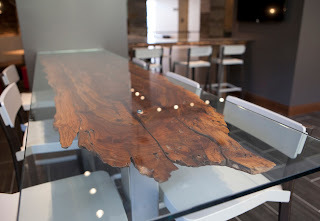 Some of the accents and tabletops are repurposed from the local area. For instance, the paneling wrapping the entranceway columns are from a nearby old barn. The space is split roughly in half between the bar and restaurant sections. The bar section is still, in their words, “media friendly” with plenty of TVs, but the vibe is considerably more low-key. 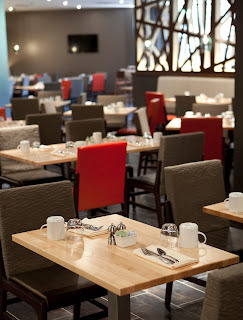 The dining area features an open kitchen line at all three meals and comfortable seating. The private dining area is still currently without its walls (perhaps an unintentional tribute to Les Nessmann?). On the dinner menu, soups and salads are $6-7. Flatbreads, appetizers, and vegetarian entrees range from $5-15. Meat-centric entrees go from a free-range chicken at $22 to the grass-fed ribeye at $38. The restaurant’s tagline is “Thoughtfully sourced, carefully served,” so I was interested to discover the concoctions they chose for this preview. In what I assume was an attempt to stick with the “local flavor” theme, our six small-plate courses were paired with the local draft beers instead of wines. I’ve got nothing against a beer-pairing dinner. Done properly, well-paired beer can be just as good with food. It does, however, take a certain amount of care – and a fairly extensive beer selection – to get everything right. There are 10 beers on tap (six were the local drafts we had with dinner) and 25 bottled beers. The wine list includes 28 selections available by the glass or bottle, none of which are from local wineries. Our first course was a crab cake served with a slaw and honey-chili mayo, paired with Rivertown Jenneke Belgian Blonde Ale. The crab cake was quite flavorful and was mostly crab meat, in stark opposition to the bready mess many “crab cakes” become. The blonde ale was a good pairing – since the honey flavors in the blonde ale played off the honey in the mayo. This pairing was, for me, the highlight. Next up was a sweet corn soup finished with a smoked tomato jam paired with a Mt. Carmel nut brown ale. The soup was sweet and straightforward. The tomato jam gave the soup some depth. The beer pairing didn’t work as well as I expected. The sweetness of the soup turned what would have been a slightly sweet beer quite bitter. The third course was a quinoa salad with summer squash, walnuts, and an herb vinaigrette with a Rivertown Helles Lager. The salad was subtly flavored – and the vinaigrette didn’t really do anything to help with the beer’s flavor, which turned very sharp together. Salad courses are always the toughest to pair. At this point, we got a “palate cleanser” of limóncello made in Columbus. While I like Limóncello as an after dinner drink sometimes, it seemed a bit odd here. Rather than cleansing my palate, it coated it in cream and alcohol. Again, I understand the “local” angle – but forcing an after-dinner drink in the middle of a meal felt a bit odd. The fourth course was a take on “fish and chips” – with a piece of halibut filet and fried elephant garlic chips, served with a malt vinegar reduction. This was paired with the Mad Tree Psychopathy IPA. Disappointing. My fish was over-seared and extremely dry. The chips were basically burnt. The IPA, solid enough on its own, was done no favors by those flavors. Finally, we had an organic corn ice cream with salted caramel sauce from Madisono’s with a Rivertown blueberry lager. The ice cream was delicious. The blueberry lager was good. Together? It just didn’t click. I will give high marks to the service. The wait staff was extremely pleasant and efficient, and they provided a good team approach to the meal. The presentation was attractive and the atmosphere was good. I can’t, however, recommend this place for spending your “going out” money – at least not as the menu currently stands. (Since the menu is seasonal, perhaps they’ll change it up soon.) The current concept – from meal selections to décor – felt like an easily duplicated frame with a few accents thrown in to get a “locally sourced” tag -- something that I could see conceivably ending up at other Hyatt locations. I imagine, at this stage, they’re still getting the kinks worked out in the kitchen and making more connections with local vendors. There’s room for really positive evolution in those areas. Ever tried to get wine through a TSA checkpoint at the airport? The “three ounces of liquid or less” rule effectively prevents travelers from bringing a bottle from home in their carry-on luggage. If you’re an oenophile at the airport and you want a glass of wine while waiting for your flight, you belly up to a random airport bar and hope for the best – and hope there’ll be a wine store somewhere near your hotel when you land. Vino Volo, the new dining option at the Cincinnati/Northern Kentucky International Airport provides a welcome, wine-centric addition for thirsty travelers. Located at the top of the escalators rising to the concourse in Terminal B in the former location of the Starbucks Coffee, Vino Volo is a tasting bar, tapas-style restaurant, and wine store all in one. The lounge is nestled against the floor-to-ceiling windows in that section of the terminal, and the “pergola style” roof gives the place a very open, clean feel. I found it an attractive, relaxing spot to kick back. “Vino Volo” literally translates from Italian as “wine flight” and that’s their specialty – mixing and matching sequences of wine samples. While wines are certainly available by the glass, the beverage norm among the patrons I saw at the grand opening appeared to be the three-wine sampler. As you can see, the wine’s flavor gets bulls-eyed on the graph depending intensity and complexity, making it simple to compare and contrast. Major flavors and wine region are pulled from the tasting notes for easy viewing, as well as the price if you decide you like the wine and want to snag a whole bottle. Flights range in price from a $9 “Kentucky Thoroughbreds” flight to the $19 “Sommelier Selection” pair of tastes. 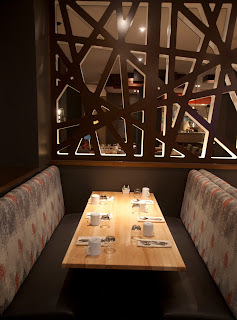 By the glass, selections range from an $8 Benvolio Pinot Grigio to a $28 glass of Silver Oak 2008 Cabernet Sauvignon. How were the bottle prices overall compared to a “regular” retail location? Well, you are in an airport. The “$2.50 bottle of airport soda” rule applies, especially among less expensive bottles in the store. Looking at the flight of white wines displayed above, the “standard” retail price for those would be $13, $11, and $23 from left to right. That’s slightly more than standard restaurant markup, but hey – you’re past security! At the grand opening last week, I also had the chance to try several items from their menu. Their “small plates” include meat and cheese boards, cured olives, and roasted flavored almonds, all of which were quite tasty. For me, the highlight was their “signature dish” – smoked salmon rolls with crabmeat on crostini. The sample sizes of both the Tuscan chicken and brie & prosciutto sandwiches were both worthy. Also on the menu – pork tacos, a white cheddar-sauced pasta, chickpea and chorizo chili, and a couple of tasty sounding desserts. The staff at Vino Volo were friendly and seemed quite knowledgeable about their selections. I overheard them helping a couple of travelers with potential selections, and the “quadrant system” gave folks an easy frame of reference. I’d be shocked if Vino Volo doesn’t do very well. I thought it looked like a great place to relax while waiting for a flight, and while the bottle prices are a little on the high side, that extra money pays for the convenience of not having to find a decent wine store (or, honestly, even a Rite Aid) while navigating your path from your destination’s airport to your hotel. Since I know my readership, I also knew to ask the $64,000 question: “Since you can take food and drinks that you purchase beyond security onto the plane, can you do the same with wine from Vino Volo?” Bringing wine onto the plane is not a problem. However, alcohol can only be dispensed by the flight crew and you’re not allowed to carry a wine opener anyway. That said, I refuse to be held responsible if enterprising individuals decide to see what they can do with some ingenuity, considerable discretion, and one of the many screw-capped bottles available. In my review of Franciscan Estates' Equilibrium, I referenced an old fave of mine called Conundrum -- one of my first gold standards for white wines when I was starting down the slippery slope of wine fandom. I received several emails from readers asking, in effect, "Well, what the heck is this Conundrum stuff?" Good question. I hadn't had a bottle of Conundrum in years. When the Sweet Partner in Crime and I were courting, this was one of our "special occasion" wines. We would save the corks and write the occasion on each. When Conundrum made the environmentally positive decision to switch from corks to Stelvin screwtops, a bit of that romance was lost -- and we were broadening the scope of our wine knowledge anyway, so we often looked at other options. Still, after I wrote that review, I was largely going from my memory of Conundrum's flavor. For the sake of full disclosure, I thought it would be a good idea to return to the scene of the....crime. I was relieved that my memory was still pretty good regarding the flavor. The Conundrum 2011 White Wine is still a hefty white. The nose is very floral and the body substantial from the Viognier. The Chardonnay gives it a green apple-dominant flavor, along with some citrus and a honey-like sweetness. It's a fairly complex wine. There's enough acidity to keep it from being too sweet, although the honey and apple hang around on the finish. I wouldn't be surprised if they'd slipped some Riesling into the mix -- because it really reminded me of some of those flavors. For a food pairing, rich fish or chicken dishes or Asian spicy flavors work well. If you're looking for a crowd-pleasing wine that's a little higher end, it's a solid choice. The Conundrum did illustrate how much my palate has changed over the years. Before I'd explored much wine, I really liked how full flavored this wine was. Trying it now, it's actually a little heavy for my palate. I usually prefer my whites a little bit crisper. My vote for these similar white California blends would still be for the Equilibrium. As more wineries pop up around here, I’m increasingly asked, “What are your favorite local places?” I have to take an invariable deep breath when I get that question to keep from being, shall we say, overly honest. There’s a reason that the best known wines in North America aren’t grown in the Midwest. Is there some good juice out there in America’s heartland? Sure there is! Alas, the process of creating those wines is going to be much more difficult than making good wine in, say, Sonoma County. Most grapes that thrive around here are either going to be our area’s indigenous grapes or hybrid grapes crossbred to withstand our humid summers and cold winters. Let’s face facts – most of the wines made from either of these grapes are inferior. I have yet to find a winemaker that could wring consistently good wine out of Norton or Chambourcin. (Especially the latter…by the Seven, that’s awful crap. Prove me wrong, someone.) Even the native stuff, like Catawba and Concord, can rise a level above Manischewitz, but not much more than that. There are a few wineries and winemakers in the area that fly in the face of our oenological reality. A small number have the proper terroir to grow vinifera grapes – grapes like Cabernet Franc, Cabernet Sauvignon, Viognier, Chardonnay, etc. The winemakers at these wineries also need the technical knowhow to make these grapes into decent wine. Most importantly, those folks must possess the level of bullheaded stubbornness that prevents one from settling for an inferior product. 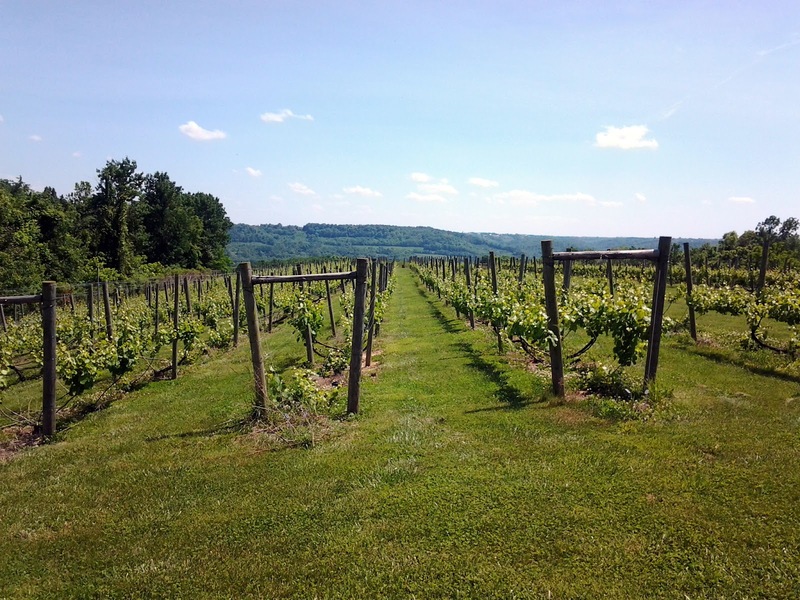 A couple of these combinations are in the vicinity of Ripley, Ohio – Kinkead Ridge Estate Winery and La Vigna Estate Winery. Every year on Memorial Day & Labor Day weekends, many local wineries take the opportunity to release some of their new offerings. The Sweet Partner in Crime and I took a little roll down the road to Ripley to enjoy a beautiful day’s drive and sample some of their new goodies. We started at Kinkead Ridge, where we got reacquainted with Nancy Bentley, co-owner of the place with Ron Barrett, the winemaker. Nancy handles all the “front of house” duties. 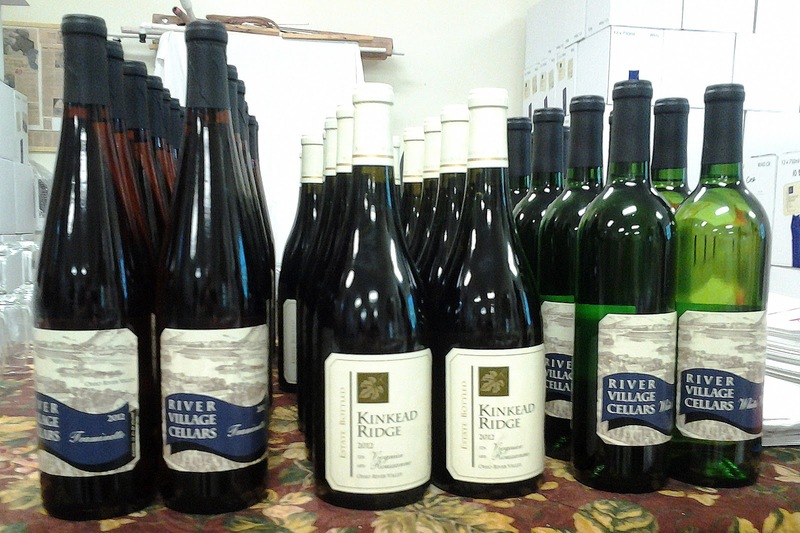 Kinkead Ridge, available in many local establishments, releases their new whites on Memorial Day. (Labor Day is for the reds.) They were pouring their three new whites for the assembled folks. They opened with their River Village Cellars 2012 White Wine, a “field blend” of seyval blanc, Riesling, chardonnay, and a few other grapes from their “experimental” block, including albarino. The result was a light, zippy, grapefruity white that calls for a porch and some warm weather. $10. From there, they shared the Kinkead Ridge 2012 Viognier/Roussanne. This is my personal favorite of the wineries’ selections, and they’ve rarely missed on a vintage of this. This is a more tropical, creamy wine than the River Village with a very pleasant, perfumey nose. The crisp finish would make it a nice accompaniment to plenty of fish, shellfish, or chicken dishes. $17. Finally, they poured their River Village Cellars 2012 Traminette. Traminette (technically a two-vinifera hybrid, but we’ll give it a pass) yields a wine that’s a little on the sweeter side. It’s got a similar profile to gewürztraminer, but without the fullness of flavor or pepperiness. It still creates a fruity product that’s friendly enough – especially with spicy foods. I liked it, but it came in third at this tasting. $10. We also learned that Nancy and Ron are trying to sell Kinkead Ridge and move eventually to North Carolina for their “second retirement.” We will hate to see them go, for sure. We then rolled back up US 52 a piece to Higginsport, where we checked in on the latest offerings from La Vigna. Brad Hively, La Vigna’s passionate winemaker, was quick to greet us when we bellied up to the tasting table. Brad had two new releases to share with the world this time around, as well as several of his past releases. 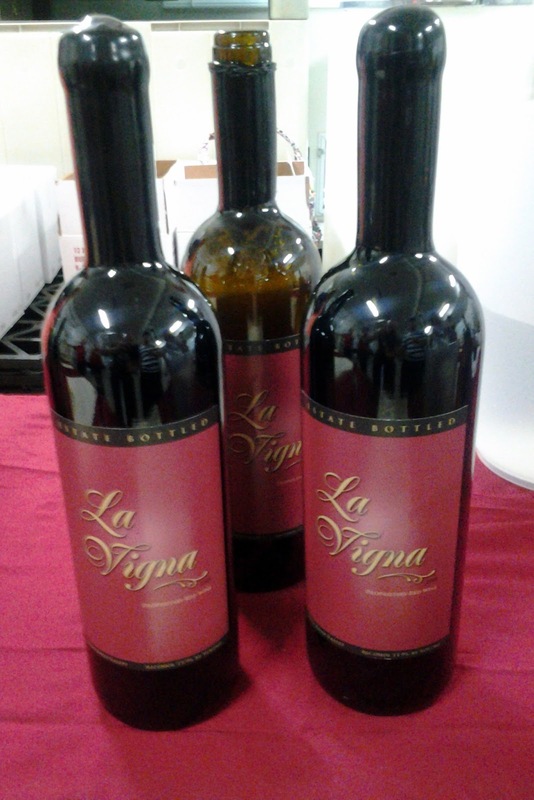 The first of his two new wines was the La Vigna 2010 Proprietary Red. This cabernet franc-based blend is the winery’s signature wide-release red. I thought it was even, balanced, and fairly straightforward at this point in its life. Aged for 26 months in barrel, it’s got plenty of potential. $24. I thought it was fascinating to taste this alongside the 2008 Proprietary Red, of which some still existed. The 2008 was somewhat fuller and more complex than the 2010 – giving a hint into how the ’10 might develop. We split on this. I like the ’08 a little better. The SPinC liked the ’10. Either would be lovely next to a nice hunk of grilled meat. The second new release was something I’d not expected. 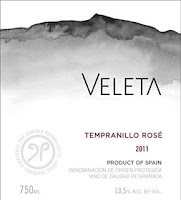 Because of last summer’s climate, the grapes ripened too quickly, which ordinarily yields a wine that Brad said would not “have reflected what we’re trying to do up here.” Rather than make an overextracted, one-note red, Brad used the whole crop to make a dry rosé in the manner it’s made in places like Provence. The result was, in my opinion, fairly remarkable. 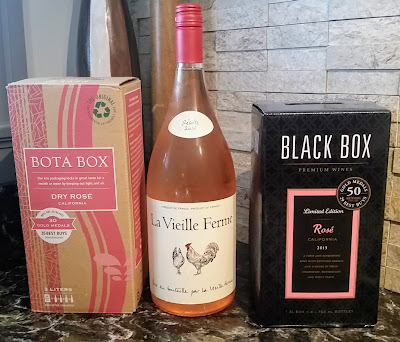 I’m a dry rosé addict this time of year, and the La Vigna 2012 Carnevale Rosato di Cabernet Franc was excellent. Wonderful bold fruit, very dry but substantial body, and crisp to finish – you could easily have this alongside…well…just about anything, but risotto or Nicoise salad would be good options. At $15, it’s a good value as well. It is a “crack and drink” wine. We had a little bit left over, and it wasn’t as good the second day. We also had the opportunity to try one of the first “reserve” wines from La Vigna. Resulting from the “winning” barrel of 2008 juice at a recent barrel tasting, Brad made a wine he called “Hardtop,” sealed with a black wax capsule over the cork. This Bordeaux-style blend isn’t inexpensive – it’s around $40 at the winery; but it drinks like…well… a very good Bordeaux. I snagged a couple of bottles to stash for a couple of years, because I believe it’s potentially something special. I remember a conversation I had at a conference in the days well before I knew much of anything about wine. The woman I was speaking with (whose name and face are long-lost in my dusty, ethanol-laden synapses) was waxing rhapsodic about her favorite white wine – a white wine from California called “Conundrum.” The wine’s name was a reflection of its several-grape blend. I filed that nugget away. A couple of years later, I met a very attractive professor at the University of Kentucky who agreed, in a stunning lapse of judgment, to let me cook dinner for her. I made a shrimp and scallop curry that night, and I’d splurged on a bottle of this Conundrum stuff. This wine tasted like nothing my unpracticed palate had run into before – very fruity, a little sweet without being heavy, and super-easy to drink. I also remember it as a great pairing with the curry. The attractive professor is better known to all of you as the Sweet Partner in Crime, and during the early days of our relationship, Conundrum was our “special occasion” wine. Conundrum became wildly possible (and more expensive) as the years went on. What does all that have to do with the sample of Franciscan Estates 2012 “Equilibrium” Napa Valley White Wine from Folsom & Associates that showed up on my doorstep? While white wines sourced from a number of different grapes certainly aren't a new thing, they were reasonably rare in American winemaking. These "field blends" tended to be inexpensive wines made from whatever was left over after making the "premiums." Conundrum was one of the first mainstream California wines to marry the tart acidity of sauvignon blanc, the body of chardonnay, and the sweet fruit of sauvignon blanc (and a few other grapes) in one bottle in a manner that suggested high quality. Equilibrium, to me, represents a step forward with these sorts of wines. 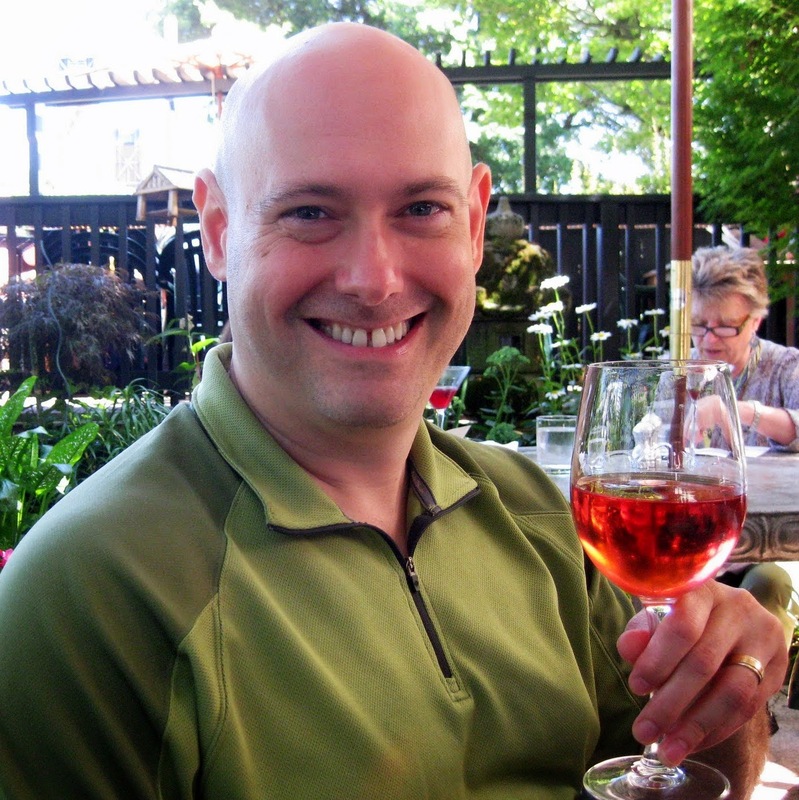 As my palate became more experienced, I found myself liking wines like Conundrum less. It seemed a bit overly heavy. Similar wines started appearing -- many of which simply weren't very good. (They were usually much too sweet or tasted like they were artificially "thickened.") Equilibrium, on the contrary, is quite nice. It's a blend of Sauvignon Blanc, Chardonnay, and Muscat. 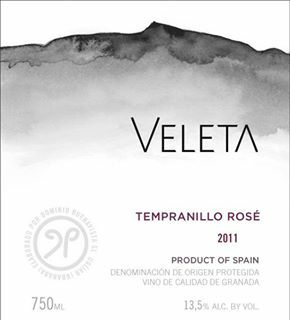 The nose is grapefruity, like a sauvignon, but with an light undertone of flowers. The first taste gave me more grapefruit, melon, and nectarine. It's medium-bodied and fresh. The finish is very fruity. I expected a sweetness like honey or sugar at the end, but there's none of that. Instead, there's a lingering peachy flavor that's extremely pleasant. Very nice to sip on its own. For dinner that night, in a lucky coincidence, I was making shrimp curry. (Seriously, I didn't plan it that way.) I was very impressed. The label recommends “BBQ and Asian cuisines” – so I thought, "Hey, close enough!" It went delightfully. The very prominent fruit flavors of the wine were strong enough to shine through the curry spices, both cooling the heat a bit and complementing the meal well. A really nice effort. Equilibrium retails for around $23. Good first-bottle-of-the-night wine, especially if you're following the SPinC's advice above.